These days I know better. Truth is, I don’t know how I would ever be able to spend hours on my computer, tablet or smartphone without the knowledge I have today. You see, the blue light emitted from these devices is actually much harder on your eyes (and mine!) than reading materials printed with old fashioned ink. First of all, there are all of those tiny pixels that your eyes don’t know how to deal with. They make things look fuzzy and distorted. But you don’t realize it because your eyes go into overdrive to interpret them. Second are those fonts that come in all sizes and shapes. Some are big, others are little. One might be full of curves, the next might be straight. Your eyes have to zero in and decode all of this. So you lean in closer for a better view. And third, when you pull your device up for a closer look, it puts you right into the intense blue light of the device. When the blue light hits the lens of your eye, it causes surrounding objects to go in and out of focus. All of this leads to squint and eye fatigue. So it’s no wonder your eyes start feeling dry, scratchy and irritated! It’s uncomfortable to say the least. But thankfully, there are ways to prevent eye fatigue from setting in and ruining your day. Let me share a few secrets I’ve learned over the years. Carotenoids – the orange, yellow, and red pigments found in fresh produce and algae – are abundant in the macula and retina. The ones you hear about most often are zeaxanthin and lutein. These two carotenoids are well-known for their ability to protect against macular degeneration and cataracts. But there’s another carotenoid that we don’t hear nearly enough about here in the U.S.
It’s called astaxanthin, a natural carotenoid pigment found in marine algae. Japanese scientists have studied it extensively. And they find it can work wonders when it comes to eye fatigue. Supplementing with astaxanthin for just a few weeks can slash eye strain, blurred vision and trouble seeing nearby objects. It also works its magic in other areas, like clearing up shoulder and back stiffness and getting rid of that “heavy headed” feeling that often accompanies eye fatigue. Part of the reason it works so well is that it boosts blood flow to the retina. This nourishes the smooth muscles that help your pupils dilate and constrict, making it easier for your eyes receive and transmit visual information. I recommend supplementing with at least 2 mg. of astaxanthin each day. 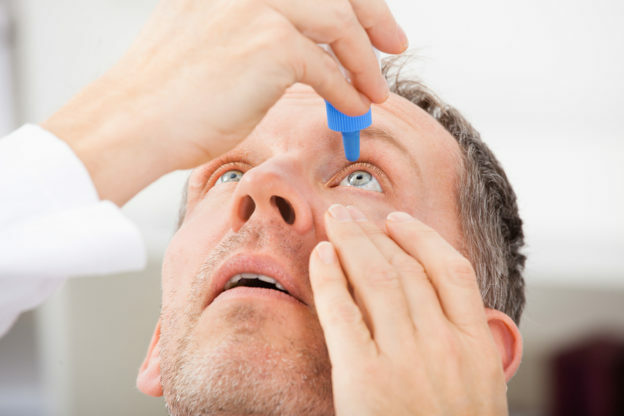 However, carotenoids aren’t the only nutrients that can clear up your tired eyes. Your eyes also need plenty of omega-3 fatty acids. In particular, docosahexaenoic acid (DHA) is found in high concentrations in the retina. Now, omega-3s won’t work as quickly as astaxanthin does. But within just a few months they can replenish the oils that soothe and moisten your eyes. This can go a long way in preventing dry, irritated eyes that go hand-in-hand with long hours of eye-intensive work. As an added eye bonus, eating just a single serving of omega-3 rich fish each week can help prevent macular damage. Your best bets are sardines, salmon, tuna, anchovies, halibut and herring. Or, you can get your omega-3s by supplementing with a high quality fish oil that’s been purified and molecularly distilled. I recommend 4000 mg daily to get the added benefit of extending your telomeres. This is an important advantage, since shortened telomeres in the lens cells of your eyes are associated the formation of cataracts. Nagaki Y, et. al. (2006) The supplementation effect of Astaxanthin on Accommodation and Asthenopia. J Clin Ther Med 22(1):.41-54. Kajita, et al., 2009. 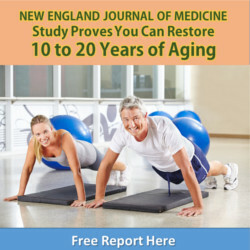 The effects of a dietary supplement containing astaxanthin on the accommodation functions of the eye in middle-aged and older people. Medical Consultation & New Remedies, 46 (3):89-92 (Japanese). astaxanthin – Where do I get hold of this or what is the best store /chemist to find this product?